Thank you for your generosity! This year's scholarship auction was a great success. Watch the Auction Video "Life Changing"
The 47th annual auction, “Adventure Awaits!”, was held on campus Saturday, November 10, 2018. It was a great success! Thank you to all who attended and those who bid online. Your generosity will provide an Adventure of a lifetime for many Cubs. U of D Jesuit is committed to providing the highest quality of Jesuit college preparatory education to young men in southeast Michigan. In collaboration with parents, we challenge students to go beyond academic excellence, to be reflective, to be committed to the service of personal faith and the promotion of justice - to be men for others. At this year’s auction we hope to celebrate the adventure U of D Jesuit has provided our current students and alumni. One hundred percent of the revenue generated from the auction goes toward providing tuition assistance to young men attending U of D Jesuit. None of the revenue generated covers salaries, building expenses or improvements nor are these young men receiving aid because they are athletes, great musicians or excel academically. Students receiving financial aid must demonstrate the need for support and every young man’s application is reviewed individually. No matter what financial award is given, each family is required to pay a portion of their tuition. For the 2018-2019 school year, 34 percent of our young men will be attending U of D Jesuit because we are able to provide them with financial aid. This amounts to more than $2.3 million, giving students an opportunity their families couldn’t otherwise afford. With your support and the support of others we look forward to the adventure these young men will experience as they grow and give back to our communities. Your partnership is crucial to our success, thank you in advance for your support. This year's Honorary Chairs for the Scholarship Auction are Lorri and Dr. James Delaney III ’80. U of D Jesuit thanks the Delaneys for their many years of volunteering and attending auctions at The High. 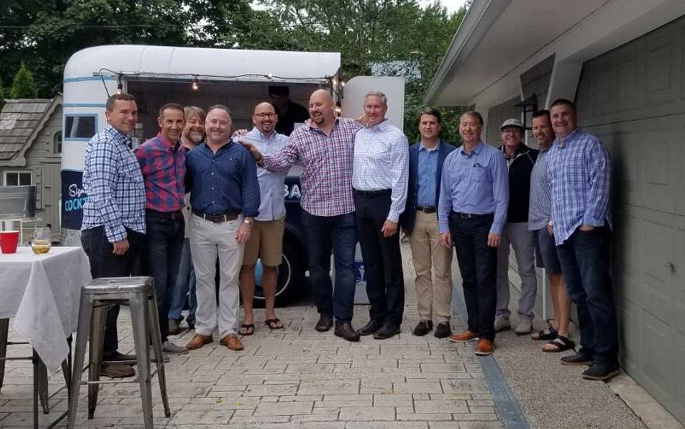 Additionally, we appreciate their generosity in opening their home for auction gift-gathering parties and ticketed "Casino Nights" over the years. Lorri and James' Cubs are Jamie ’06, Ryan ’12, Adam ’16, Kyle ’16, and Shane '19. The Delaney’s ask you join them in making an impact on our 2018 Auction Sponsorship Success. Did you or your son graduate with a Delaney? Memories of their gift gathering parties? Time spent in their basement? Sharing bagels around their breakfast table? Been shuttled to a dance or party in “the Delaney Van?” Shared mom moments, dad moments, or Dean of Student moments? If you answered yes to any or all of these experiences, we hope you will consider a donation to the “Delaney” special chair sponsor fund. This fund celebrates the many adventures at U of D Jesuit by raising important scholarship funds, helping more people join our community, and experience the blessings of being a student, parent or supporter of their life-changing education. The Delaney’s have set a goal of $10,000, and need your help in making this year’s 2018 Scholarship Auction one of the best. Please be assured that there will be plenty of students, trained volunteers and OneCause staff on-site to assist you. 100% of graduating seniors accepted at colleges and universities. Student-built electric-battery vehicle and prototype gasoline vehicles are #1 in the State performing better than U of Michigan, U of D Mercy, LTU, and other high schools. 13 Academy teams in total offered. There are many volunteer opportunities available for our annual auction. From Acquisitions to Decorations, Set-up to Clean-up and everything in between – we have a job for you! If you have volunteered in the past or want to volunteer but not sure where, please contact us! An event of this size takes more than 200 volunteers – your time and talents are greatly appreciated! Click here to see more information and to sign-up via Google docs. Auction donations can be dropped-off to the receptionist at the Visitors Entrance (Door #1) on schools days from 7:30 AM until 3:30 PM. The auction department will be available at various school functions such as Mini Class Nights and Mothers' Club Meetings. To make special arrangements contact the auction office at auction@uofdjesuit.org or 313-927-2332. What Can I Donate To Make The Auction a Success? Be Creative! Donation Possibilities are Endless! We hope you will consider supporting our efforts by donating an item for our Auction. Donations received by October 13th, 2018 will be acknowledged in our Program Book, which will be distributed to more than 625 Auction attendees and parents as well as available for others to see online. Below is a donor form which you can complete and submit with your donation. All support will be acknowledged with a letter which includes information regarding your potential charitable deduction. Each year, University of Detroit Jesuit High School and Academy invites corporations and interested parties to become corporate partners for the annual auction. Corporate partners receive significant name recognition since their logos appear prominently on invitations, flyers, programs, advertising banners, the auction web site, external ad campaigns and in any publicity campaigns. Enhancing your company profile through a close association with the U of D Jesuit and our constituent base. Corporate partners are encouraged to provide unrestricted funds to be used to directly support the auction and corresponding events. Click here to learn more about the our partnership opportunities. Auction Gift Gathering Parties are a great tradition here at U of D Jesuit! They are social events hosted by generous and gracious parents. Thank you to the Cub families who hosted this year's Gift Gathering Parties. 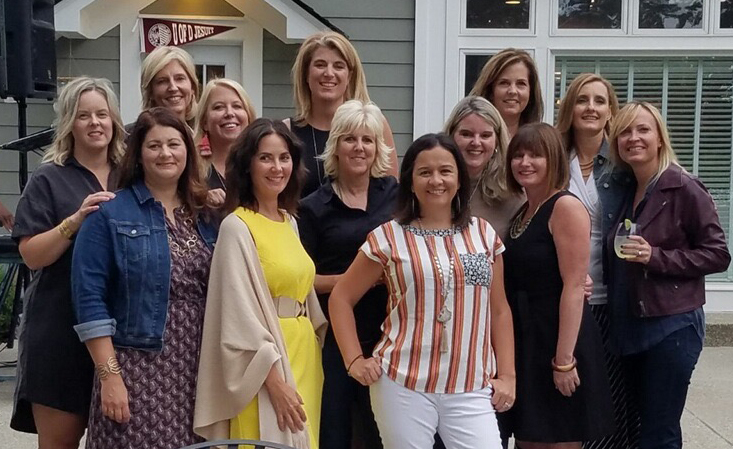 Thank you to all the Cub moms who attended a wonderful evening on Wednesday, October 10, 2018, at the home of Angelina Tate. Thank you to the sixteen CUB families who hosted our first "Adventure Awaits!" gift gathering party on September 7th at the home of Sean and Barb Stokes. 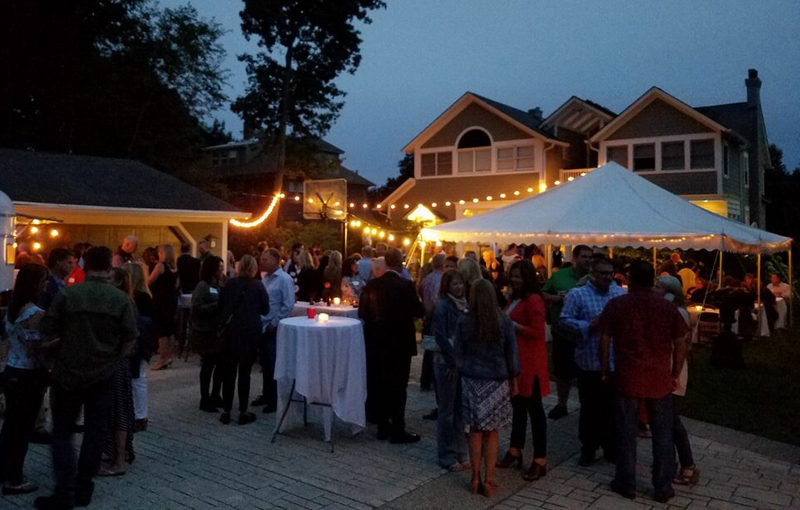 Approximately 300 Cub families enjoyed a beautiful evening with Mexican fare served by Detroit’s own MI Pueblo and cocktails served by Sidecar Pony Bar, along with music and dancing. If you have any questions or suggestions, or would like to become involved with the auction, please contact a member of the Auction Team at 313-927-2332 or auction@uofdjesuit.org. Enjoy the 2017 Auction Video "Lights, Camera, Auction!" as well as the photo gallery of auction night. We look forward to seeing you at this year's auction on November 10, 2018.